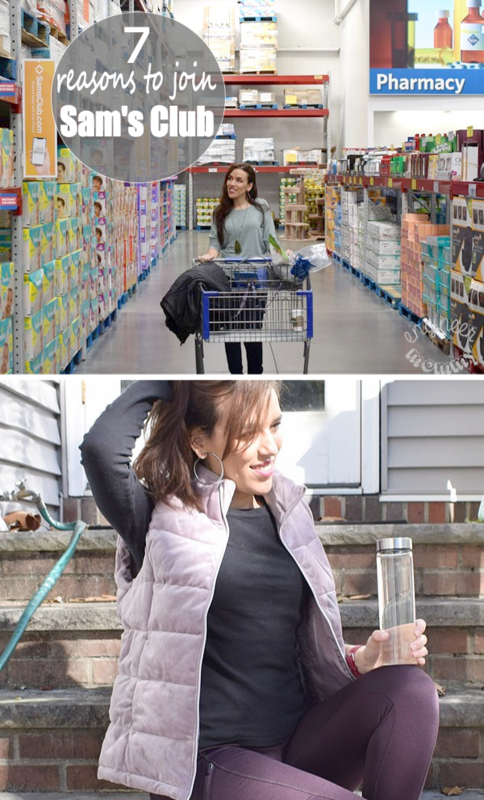 This is a sponsored post written by me for Mosaic Tile Outlet. All opinions are mine alone. 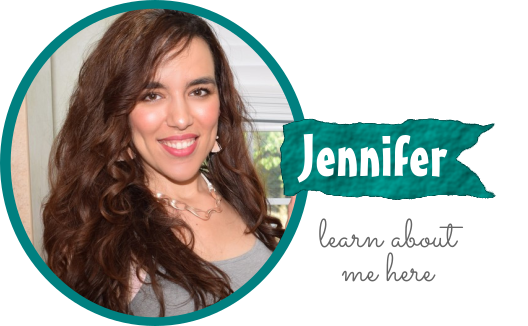 It seems like I am always on a mission to reduce the amount of clutter in my life. One area that seems to be an ongoing problem zone is my home’s entryway. Random things get left on a table or shelf and the whole area looks untidy. 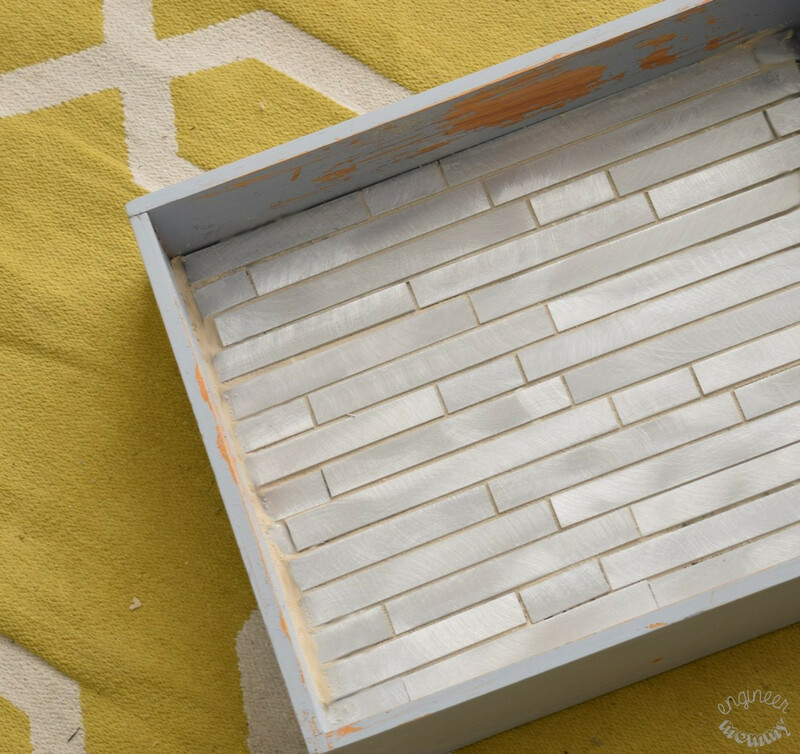 In an effort to streamline my entryway, I decided to make a DIY Tiled Tray using some gorgeous metallic mosaic tiles from Mosaic Tile Outlet. 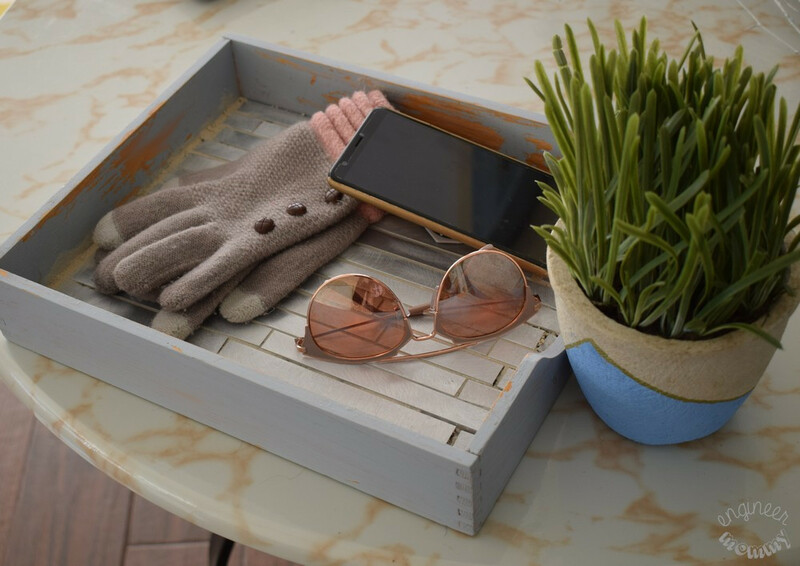 This tray will be the perfect drop zone for everyday essentials, such as my keys, sunglasses, phone, etc. Keep reading to see how I made this! Local stores always seem to be out of stock on certain tiles. Or when you find a specific tile you like, there’s a chance they won’t have enough in stock to complete your job. Tiles are heavy. Rather than carrying all those tiles home, have Mosaic Tile Outlet deliver them right to your door. Shipping is free so it’s really a no-brainer! 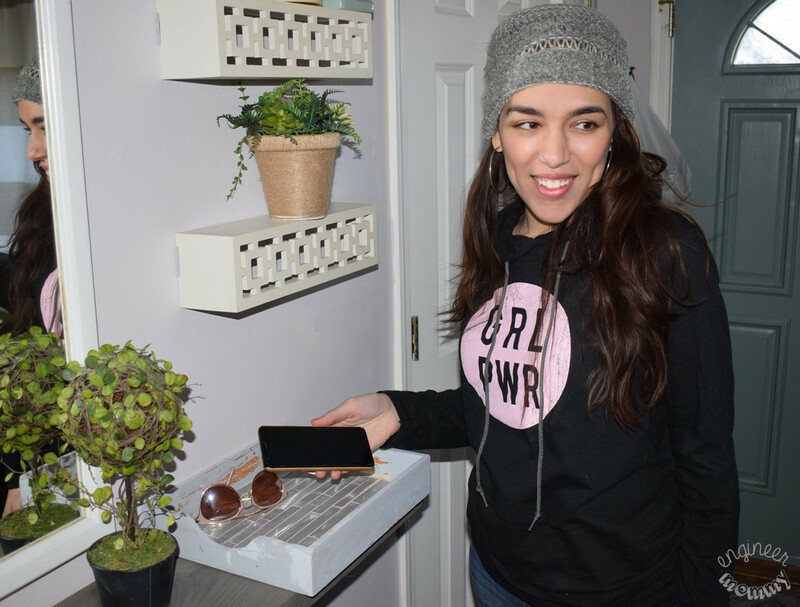 Instead of driving to the home improvement store and dealing with traffic, parking and long lines, skip all the hassle and order from the comfort of your home. 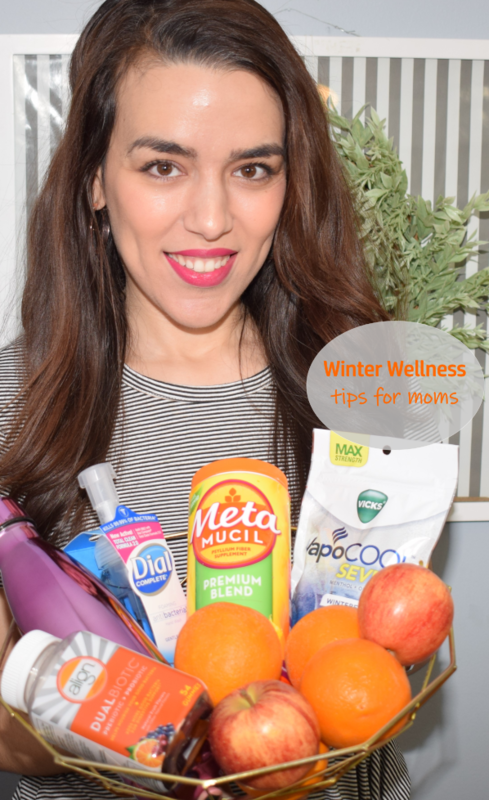 As a mom, convenience is always my top priority! Mosaic Tile Outlet has a fabulous customer service guarantee. If, for some reason, you are not happy with your order, you can request a refund. I love it when companies stand behind their products! Aren’t these metallic mosaic tiles gorgeous?! 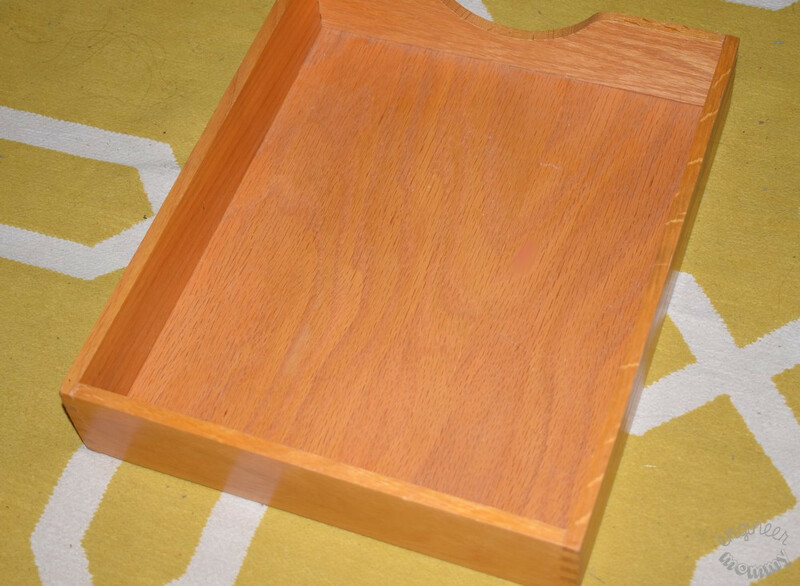 For this tray project, I started with a thrifted tray. I have always loved a good thrift store project. There’s something so exciting about taking an item that’s dull & drab and transforming it into something spectacular! The first step was to slap on a few coats of paint. I chose this matte pale gray color because it’s neutral and goes well with my decor. Next, it was time to add the mosaic tiles (here is the specific tile used) to the tray. 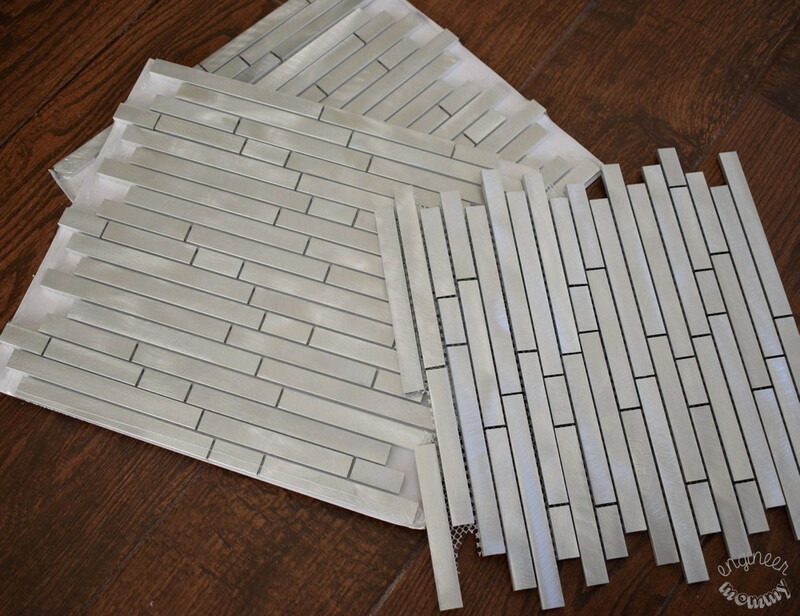 Since this is a small craft project, I won’t be bothering with chalk lines and tile spacers, but those are must-haves when tiling a larger space. For this project, after the paint dried, I spread a thin layer of thin-set mortar (you can mix your own or purchase a pre-mixed variety). Then use a trowel at a 45 degree angle to comb through the thinset. Lay the tiles down, wiggling them slightly so that they grip the mortar. For tiles that need to be cut, there are a few options. You can use a tile chipper, a tile snapper or a wet tile saw. A tile file is good for smoothing edges. Once the mortar has hardened for at least 12 hours, use a rubber float to spread the grout over the tiles at a 45 degree angle. Push the grout into all the grooves. 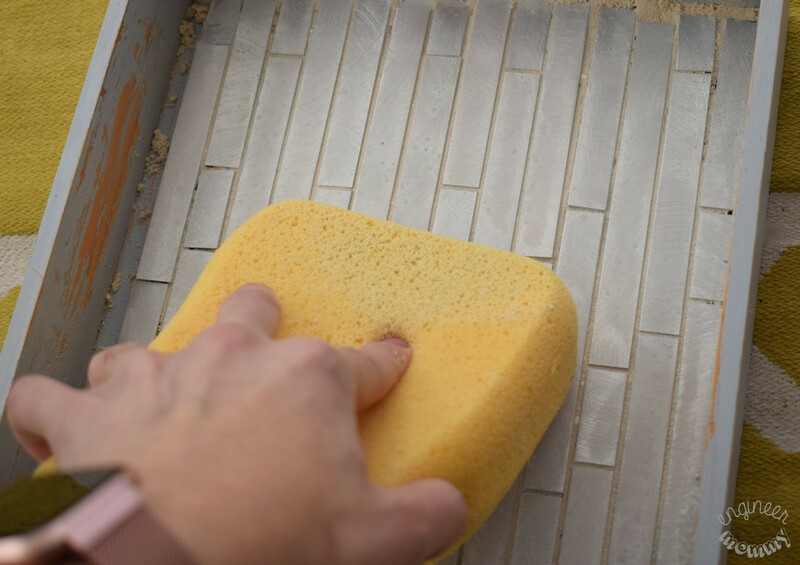 After the grout has had a few minutes to set, use a clean sponge and a big bucket of water to remove excess grout from the tops of the tiles. 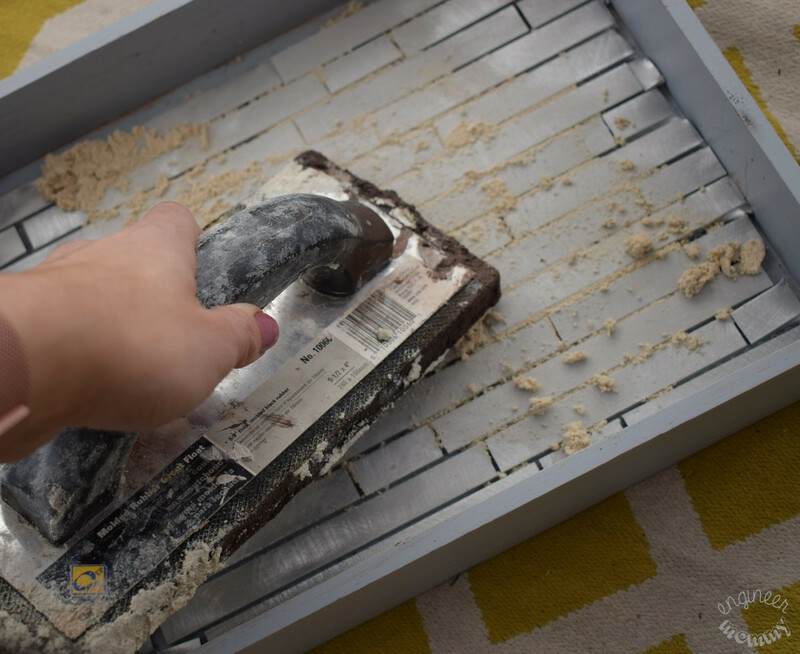 I also used sandpaper to lightly distress the sides of the tray for a more rustic look. This was a super fun project and I’m really happy with how this tray came out. I’m loving the transformation I was able to achieve here! My entryway is much more organized now and I have a dedicated spot for my glasses, phone and keys. No longer are these items in random places! WIN! 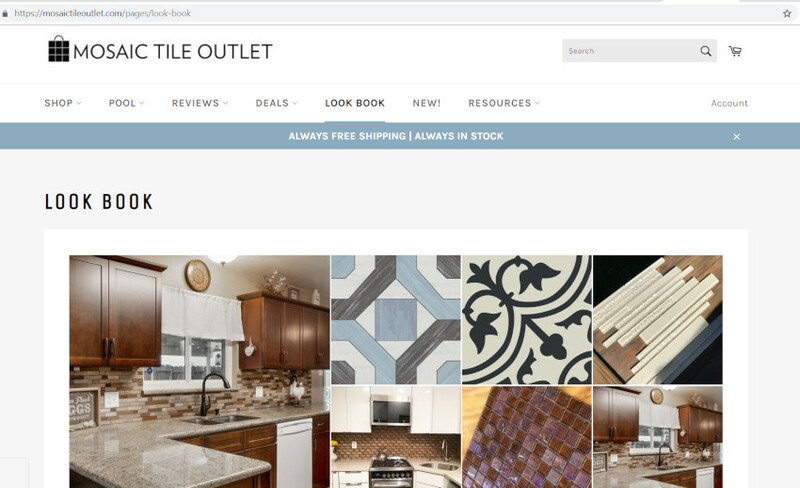 Mosaic Tile Outlet is based in Miami, FL and has been in business for over 20 years. They pride themselves on having a strong team of Quality Assurance professionals to ensure that every product sold is free of defects and that customers receive a product with minimal variation. Keep up with the latest news & offers from the company by checking them out on social media: Facebook, Twitter, Instagram and Pinterest. See how Mosaic Tile Outlet can help you achieve your home tiling dreams! Have you ever tiled a space in your own home? 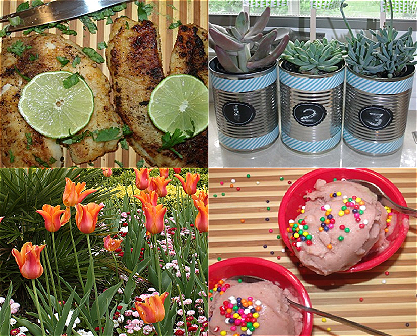 What DIY projects are on your list? Wow that transformation was amazing. Love the way you did that! I have to check out this tile website we are always doing renovations around here. I absolutely love this project. 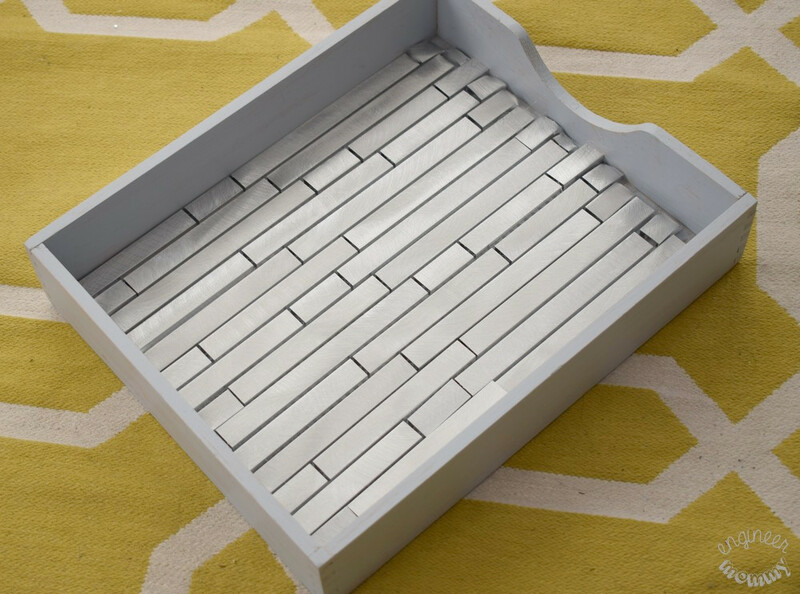 The tiles add depth and warmth to the tray and make it look unique. Pinning this project to make another day. This is a very clever idea.It makes the perfect box to keep in your entryway for keys, change, office badge, etc. What a perfect way to use up some leftover tile. 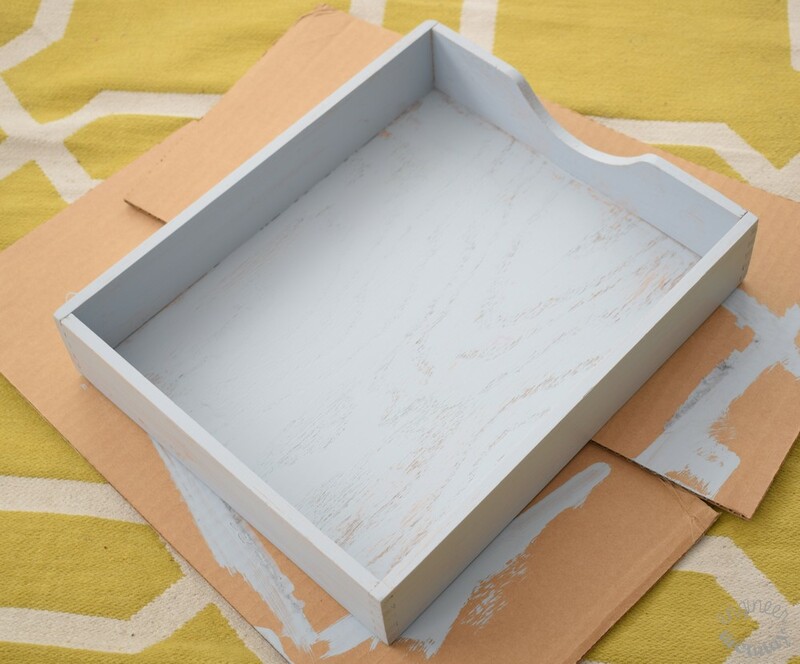 Love the look of that tray and is a pretty straightforward project to accomplish. I have a tray kinda like this that I have always hated (it’s ugly) but I use it so I never got rid of it…but THIS!! This tray is stunning! I know what my next project will be for sure! Seriously! What a cool project! IT turned out beautiful. Too good to be a junk drawer! This is perfect for important documents and the like. What an awesome decor piece! I really appreciate how easy it would be to customize too. Just select a style of mosaic tile that fits with the theme of your home. If only I didn’t hate grouting so much this is such a cute DIY! I might be able to get my husband and kiddo to tackle the project. Would be cute on the patio!